Squee! I’m so excited to share my latest endeavor with you! 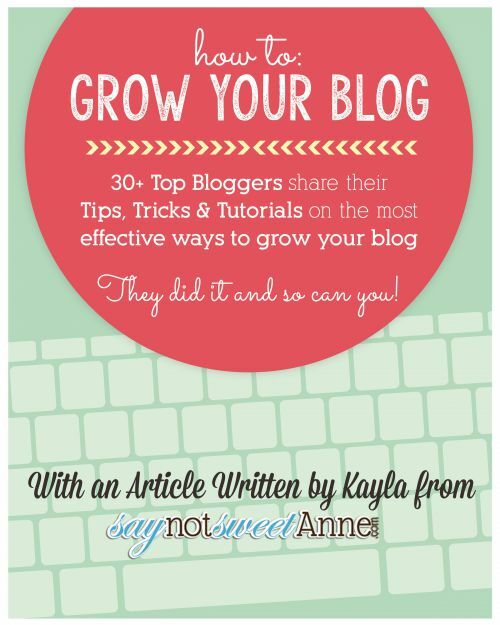 For the past few months myself and 30+ other bloggers have been working to put together this e-book. Each blogger chose to write an article on a topic they are knowledgable in, and the result is an excellent compilation for beginners and experts alike! Everything from where to built it, to how to name it. Connecting with readers, Plagiarism, photography and more! FB, Twitter, G+ and a bunch of others! Newsletters to Linky parties and everything in between. Time management, balance and scheduling. It is amazing to sit down and read the wisdom of those who are in the thick of it. I’ll admit, I learned quite a bit from my copy. Pages are well organized and many of the articles have illustrations, screenshots and other easy to follow visual aids. You can read it on your computer, tablet or other PDF reader of choice. The eBook is competitively priced at $19 and I think it is well worth it! I’m so tickled to see months of work finally brought together into such a nice product. What are you waiting for! Get the book here!